-The Golden US Era we live in, where water turns to wine with a left swipe on your smartphone. Alas not for us, but our parents. -He has arrived! Our Messiah Trump whose halo is concealed by a blond wig will lead our nation’s disenfranchised youth back to the Promised Land. -It will be even better, for he will bring decent jobs back home from Asia and denude our new paradise of foreign fruit. However, full disclosure: The younger generation have a faculty that taps into an underlying consciousness (we call him Swami); you oldies can think of him as a portal to a deep wisdom from the past and future of this planet. Swami says the passage to paradise is fraught with land mines, and Swami’s (almost) never wrong! We, the disenfranchised youth are sick of the old order, those treacherous politicians who have denied us the incomes to fulfil our wants, and succumbed to foreigners’ desperate pleas. Globalisation is good? Please explain how it’s ‘good’ when some foreigner is willing to work twice as hard for half my pay! I know that regime served the US well, and we prospered greatly from it! But it doesn’t anymore does it? Yes I DO care about living standards in China, BUT I have every right to fulfil my wants first, just as my parents did. I can live with negative equity (actually I still live with my parents), but hell, it’s been 12 months without a decent pay check! And no! I won’t flip hamburgers – I have a diploma in Film Studies! We write the rule book remember! We are America, and our messiah will make America First. Again. But you old-school politicians have ignored our pleas – there were strident voices screaming their anguish at the lack of decent jobs. Your soothing political rhetoric that used to placate us long fell on deaf ears. 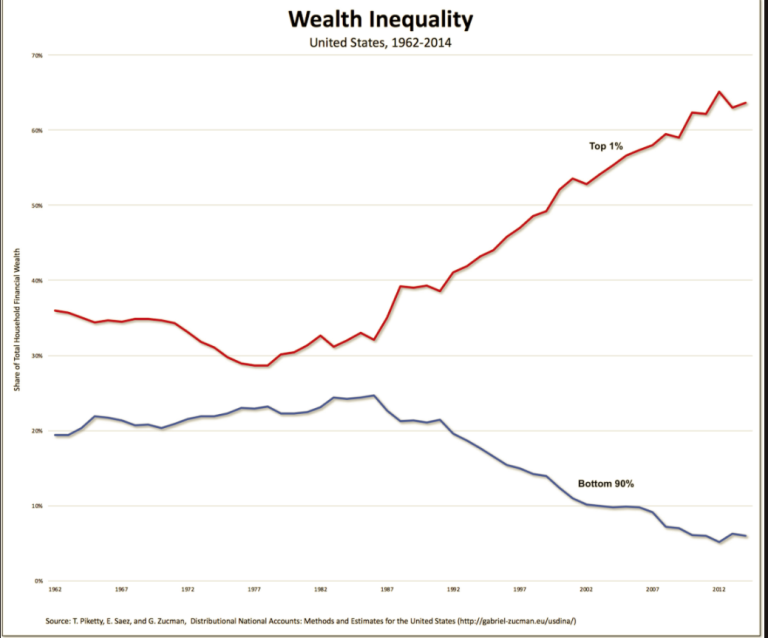 We are jaded by dead-end careers, un-rejuvenated wardrobes and smaller hamburgers; we the disenfranchised youth have suffered an unprecedented and relentless widening of inequality between America’s rich (primarily baby boomers whose historic savings participated in roaring bull markets (SPY)) and the poor (i.e. us, the new generation, with insufficient incomes to invest in our wealth creation.) The glaring inequality has arisen precisely BECAUSE of global free trade; US companies have consistently raised profit margins by shifting every possible job to cheaper labour in Asia, leaving our country’s youth the honour of flipping hamburgers and becoming waitrons to serve the arthritic baby boomers! Do you now see why we hail Trump as our messiah – he’s going to give us a chance to enjoy the living standards our parents took for granted. Give me one good reason – why should I merit a poorer living standard than my parents? That would violate the trend of rising prosperity for successive generations that’s prevailed over two millennia! But now we’ve kicked you out, you old-school bureaucrats, and replaced you with a blond visionary who will restore our country’s supremacy, along with the new generation’s prospects! We know you tried to reconcile America’s role as the global leader of free market capitalism, and the fact we’ve been beaten at our own game. What you forgot (and Trump knows unequivocally) is we, the US, make the rules of the game! And if we can no longer win, isn’t it obvious you just change the rules! You fret unduly about their retaliation. First the financial markets miracle. 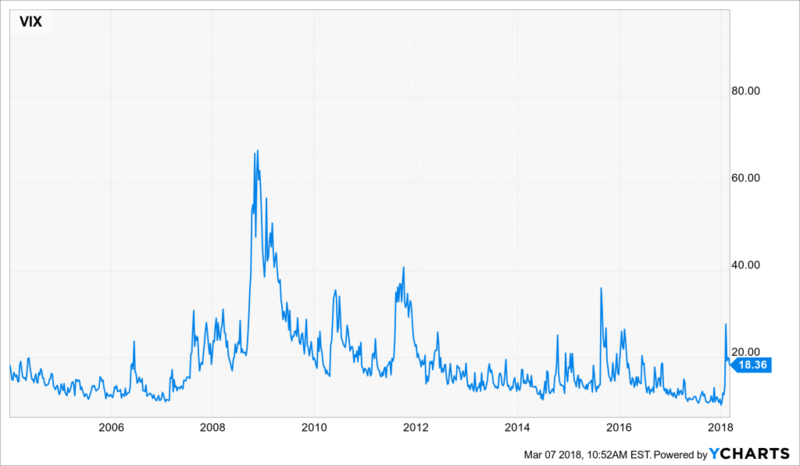 The VIX volatility gauge, commonly known as the ‘Fear Index’, our messiah has banished from our Kingdom. His wig commands the respect of all his subjects, however independent the monetary/fiscal authority they represent claims to be! When our messiah tilts his blond bang towards any official who dares to challenge his wisdom, the official immediately heels to attention, no matter how misguided his/her preconceptions of responsibility. And if a tilt of his wig is not wrath enough, our messiah simply banishes the itinerant from his sacred circle. The passage to paradise is fraught with obstacles, but our messiah has mastered the language of our modern media – no president has been remotely as efficient, capable of changing government policy in a single tweet! How grateful we are to our messiah! Watch him build that wall AND make them pay for it. As for US stock markets, they’ve continued to surf merrily on the high tide on unprecedented valuations. I want AND DESERVE a bite of that cherry, a respectable job with a decent salary that permits savings, dammit! Is this Nirvana an illusion? No it’s real, and it has prevailed through the most protracted political wrangle a US President has faced (with alternative candidate, spurned Hilary Clinton) over the past year. Now let’s talk about the greatest risk to a country with substantial twin (current and budget accounts) deficits. 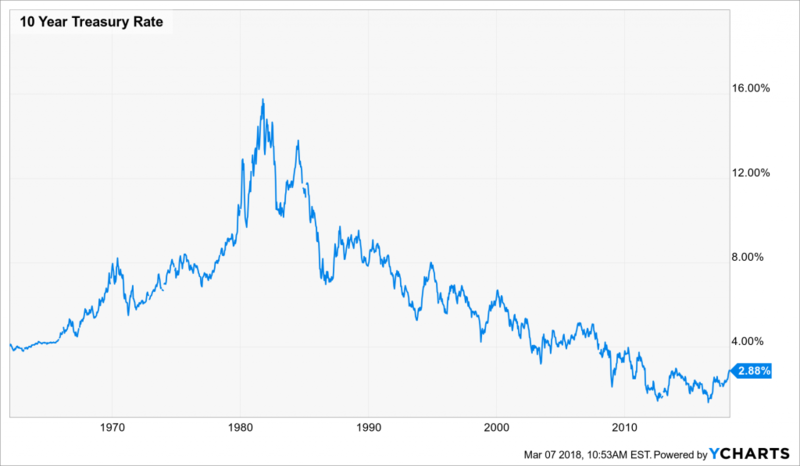 Long bond yields are hovering around the bottom decile of a half-century of data, reflecting the Goldilocks’ narrative of economic growth and sedate inflationary fears, a stable dollar and confidence in our Monetary and Fiscal Policies. (And yes, I know my stuff, my dad was an Economist). You see flashing danger signs in the graph below? Go see an optician. However I’ll be the first to admit, it’s not all rosy, despite Trump’s wig/halo. Now I have to let you into a faculty that my generation possesses, a dimension that our parents didn’t have access to, something that has evolved, as humans get more attuned to our underlying consciousness…. Have you read anything by the psychologist Jung – he’s from your generation right? Anyway Jung was tapped into this underlying common river, and he wrote about it…Well, we young guys can feel it and we know it. I can just imagine the look of bafflement on your faces – you old people can’t understand, you’re just not tuned in. I know how to make you understand. Just think of Swami as an old wise guy who is incredibly insightful and who we can have deep debates with – Swami actually means spiritual mentor in Hindi – and he guides us through troubled times. When Swami visits, we’ve learnt to pay real careful attention to what he says. Right, back to free trade and Trump. I can’t believe Swami is against me earning a decent salary and bringing some of our manufacturing jobs back home. I can’t even imagine a permanent job with a health plan and a decent career path – when you flip hamburgers, all you see is a (career) ceiling caked in soot! I mean, Swami always intended the best for me – what’s wrong with earning a salary that will enable me to save for a decent pension like my parents! I insist to Swami that the US is the largest, most coveted market on the planet. No country or bloc could replace the consumer demand the US offers. As for payment, the world is very happy to accept an IOU in US Dollars. Honestly Swami, I ask, who is going to replace the dollar’s hegemony, its status as the world’s reserve currency in the next decade? They need us as a market for their goods just as much as we need to pay them in Dollars. I tell him the privilege is called seigniorage, in case he missed it in one of his reincarnations in a parallel universe. “OK, let’s start with US Treasuries,” he replies. Swami insists investors must surely anticipate higher risk in the Fear Index, with ever escalating public debt and the very real threat of other countries imposing retaliatory import duties. He agrees that trade surplus countries like China are less worried about a profitable trade than recycling those surpluses to maintain their competitiveness via gluttonous mouthfuls of Treasury Bills to suppress their own currency, but Swami keeps asking me how much of this move is the U.S. buying its own dirty laundry (i.e. quantitative easing)? “Have you thought what the 10-year yield might be if the Fed hadn’t purchased $4 Trillion worth Treasuries over the last decade? And what if other Central Banks react by being less receptive to Trump’s new $1 Trillion infrastructure budget?” he ponders. Sometimes Swami is very graphic. Swami lays out one central permutation that could unfold if the grandee politicians continue to flirt with a full-scale trade war. “If there’s one variable that’s a central factor for investment appraisals, it’s the long bond yield. This serves as the risk-free rate – to which a risk premium is added – to derive the discount rate for a company’s proposed project or acquisition. He waits to see if I understand – I’m always amazed at his financial knowledge, considering he spends most of his time in the past and future. Now say there’s a ‘Massive Sale’ on 10-yr Treasuries via an Asian boycott…yield will explode upwards! Can you imagine the damage that would cause to US long-term growth – projects everywhere would be shelved, as now the discounted future returns don’t exceed the initial capital outlay. And don’t forget US Treasuries are THE risk-free reference for investment decisions globally! Your blond-wigged messiah may believe he’s stimulating domestic job creation, and that might even be the immediate short-term result… but an adverse chain of reactions could end up halving the world’s GDP growth! It’s very easy to envisage disastrous investment implications for the entire planet! I really wonder if he’s thought this through. Suddenly Swami shudders involuntarily. My intuition tells me he’s glimpsed some future crisis that he doesn’t even want to contemplate. He turns and looks at me carefully, deep in my eyes. There’s always a deep vibration through my spine when he does that. Not exactly painful, but a profound electric jolt, like I’ve been connected to a common-consciousness river for an instant. Then he just shrugs and reclines on my sofa, as if to say he’s done his bit, now it’s up to us to make our choices. And where that takes us, the Swami hasn’t told me yet. I don’t think even he knows, given the number of permutations that intertwine retaliatory measures with counter-retaliations. He then fell fast asleep. Hi – please send me an email. I would like to contact you directly. Hi – please send me an email so I may email you directly. Please may you guide me where i can purchase a hardcover copy of the book, i cannot get a listing on takealot.com, exclusive books doesnt have it either. I am based in South Africa. Please send feedback when u get through it! We were grade mates in primary & secondary school. I read your book and found it to be awesome. So glad of your creative writing. Please keep writing. Not sure how I can get in touch with you as I do not see an email address. Hi prasun yes of course. Thank u sequel coming. Where r u now? I do not know if this page is still active…. Could you send me your email adress? Send me an email with your contact info. This is your colleague from Ithaca. hello Naseer, do we know eachother? Sunil, saw you on CNBC and bought your book this morning as my read on the farm for the next few days. Will no doubt let you have my thoughts in due course. Well done. What a fantastic read! A book which I struggled to put down. A fine balance between insight into the asset management profession and an intriguing story-line. I hope you write more books Mr Shah! Checking it out for our kindle! Congratulation on this wonderful success!! Yoou really deserve it. Who knows better for how long and how hard you had been working for this than we. Me, I’m very proud having been your very first reader and fan! I’d like to publish the book in Germany/ Europe or who else is to do it? Well written, insightful. This book gives you a glimpse of the daily stress and burden on Fund Managers who have to invest for their clients and some ethical dilemma’s they may come across as well as the cultural diversity present in South African corporates. There is also an insight into the South African business situation which is not always that clear cut, dealing with politics, employees and remuneration. The personalities of the characters in the story are well defined and so detailed, drawing the reader into the psyche of each person characterized in the book. 9 th Nov 2012 17.07 Ok, curtains! It’s show time at the Book Lounge . . .
Sunil has put a lot of himself into the book. His courage and effort to show the life around the numbers will be rewarded. very interesting plot. Can the book be purchased in america? Ciao Sunil, sarei molto curiosa di leggere il tuo libro, è bello sapere che c’è ancora chi si impegna a veicolare le proprie emozioni tramite un romanzo.. questo mondo non è ancora perduto! Diffonderò questo link anche in Italia. You, my pal, totally ROCK! I found exactly what I was looking for. Your article on whitemansnumbers.com | A financial thriller by Sunil Shah contains useful content that I would like to share with my friends. I do have one small favor though, when you have some time, could you check out my site on find imei number? Thank you! The book-top looks like you so much ! A slap given with two suddenly frozen black eyes, a killer smile, and I got the dried and short laugh. And beautiful. The vertical succession of the three parts linked only by the standing of the two bodies. All is said. ( Great- Britain and West Europe in the full middle, a water-pool where the sitting naked body is hesitating to jump ). So sadly but strongly beautiful. Congratulations Sunhill, Congratulations and admiration.